A few more free patterns are in the works. I just need to work out a few kinks! I love the Chromium Star blanket. I can see where this would be addictive! You’re a great crocheter! I find your Spiral Scrubbies stunning! I was just browsing around after going to Daily Crocheter free pattern. I love to surf around and find other crafting, preferably crochet, sites to go to. I found your scrubbies to be quite interesting and plan on trying a couple in the near future. Thanks from one crafting addict to another. Your work is awesome. Thanks for viewing my new blog and leaving a comment…..I am so new at this …please don’t laugh! 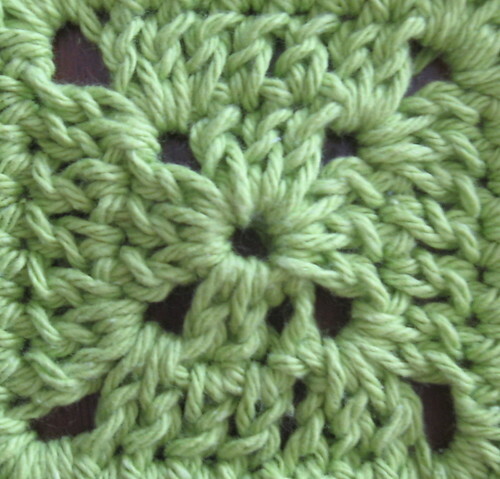 I love to crochet, but don’t hav time to design my on pattern, I love your throught any window. Gonna try it. and give to my daugther best friend as a gift. let you know what everyone said. I was wondering if you would let me have the pattern for the scrubbies, I have been looking for one that is made withy something other the tulle. Let me know, if you charge for the patterns. Found your THROUGH ANY WINDOW BABY BLANKET last month and am starting on my fourth one…..I LOVE LOVE LOVE this pattern, the tutorial was good too. Thank you so much for sharing! I thank you much for sharing your beautiful handi-work.. May God bless you,and yours Much! !